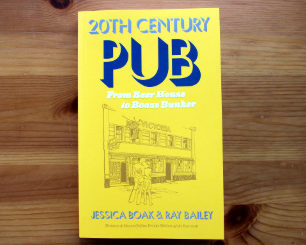 Q&A: What was 'The World of Brewing'? Q&A: What was ‘The World of Brewing’? When Lou Tweeted the above at us back in August we added ‘World of Brewing’ to our list of things to keep an eye out for in the archives. This week, we found something. 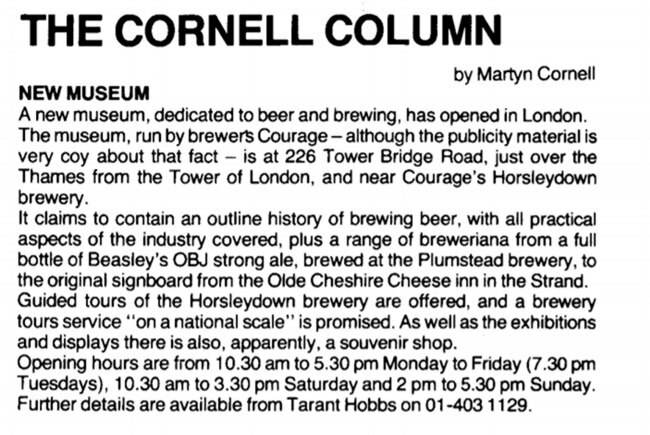 It’s an adver­tise­ment from around the time of the museum’s launch in June 1980 and gives a pret­ty decent descrip­tion of its pur­pose along with some good, sol­id facts. It’s good to know exact­ly where it was, for one thing – at 226 Tow­er Bridge Road, right next to the riv­er. The muse­um might have come back to life – it seems to be list­ed in this 1986 tourist guide to Lon­don – and there are hints, here and there, that Tarant Hobbs might still be around. If we can find a postal address we’ll send him one of our nice let­ters and see if we can get him to tell us a bit more. In the mean­time if you find this reviv­ing any long-buried mem­o­ries of vis­it­ing the exhi­bi­tion, do drop us a line. 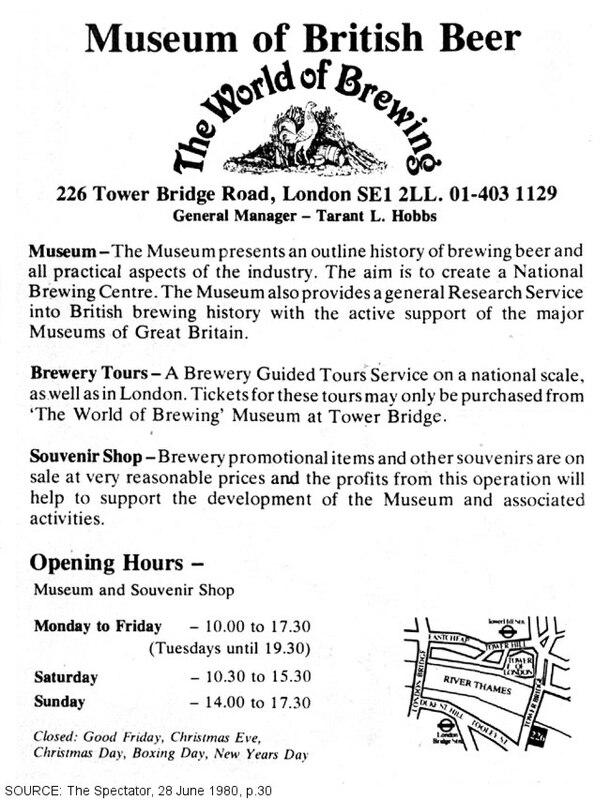 UPDATED 11.03.2019: Jake Gut­teridge has been in touch to flag a web­site about the World of Brew­ing he put togeth­er with Tarant Hobbs, his grand­fa­ther. Wow, real­ly inter­est­ing dis­cov­ery! It would be inter­est­ing to vis­it the site now and see if there are any lin­ger­ing indi­ca­tions that could give us some more infor­ma­tion! Very inter­est­ing – I’d nev­er heard of it. There’s a Tarant Hobbs liv­ing on Can­vey Island.